HeatProbe™ fluid warming system uses hot engine coolant to rapidly warm up DEF, hydraulic fluid, diesel fuel, engine oil, batteries and much more! HeatProbes can be used on crane trucks, excavators, loaders, dozers, tank trucks, tank trailers, snow plows, fuel / lube service trucks, water trucks, rock drills, pipe-layers, garbage trucks and many other types of heavy equipment. 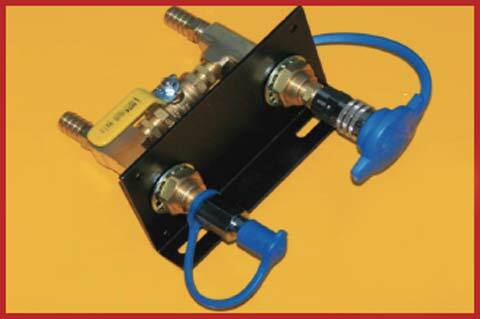 HeatProbe™ DEF warming kit easily installs on any vehicle and provides quick-coupler hook-up for portable applications. Because DEF is so temperature sensitive, often product will start to freeze and crystalize after only a few hours of being outside. 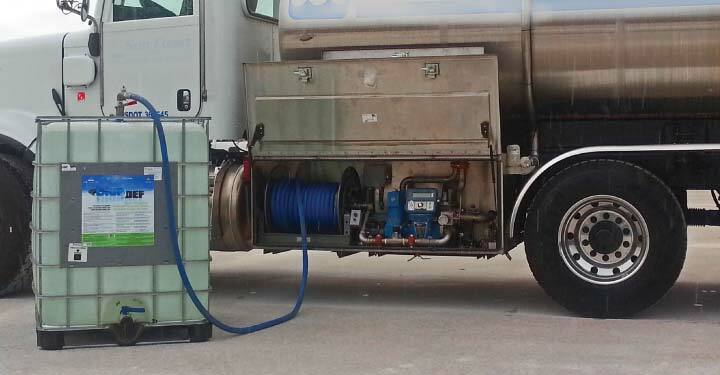 By utilizing hot engine coolant, DEF tank can be kept warm throughout the day, allowing for multiple deliveries. 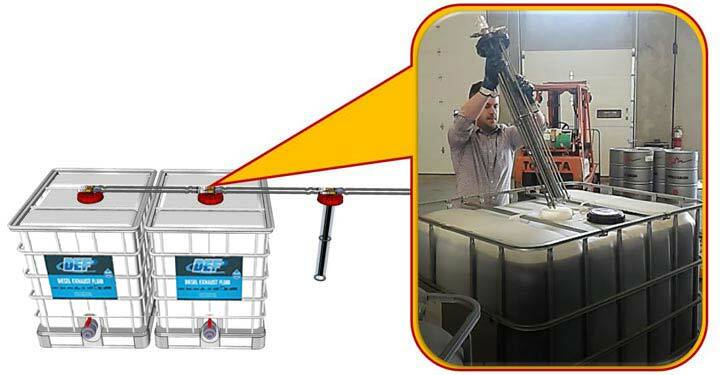 The Thermex HeatProbe™ Tote-Style fluid warming system uses hot coolant or glycol to rapidly heat-up DEF. Comes with vented cap and protective cage assembly. Quick-coupled hoses simplify hook-up / removal and can heat from 1 tank up to 12+ tanks at a time.